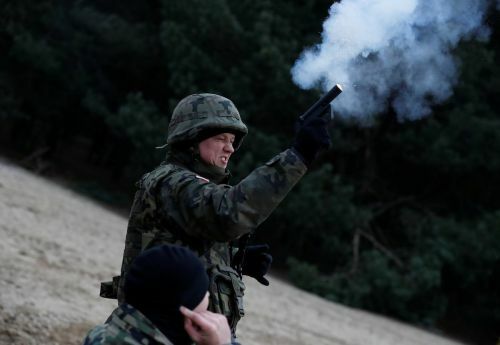 Poland launched a volunteer militia called the Territorial Defense Forces in 2017, about a year after the nationalist Law and Justice party came to power in October 2015. The Polish government plans to spend $153 million on the Territoral Defense Forces this year, and expects to add 10,000 recruits annually, reaching a total of more than 50,000 by the end of 2021. Thus far, more than 12,000 volunteers and more than 2,000 professional soldiers have joined. And they're ready to die to protect Poland from a Russian incursion like what happened in Ukraine in 2014.